Look amazing on my daughter’s wall. Easy to put on walls. Absolutely gorgeous. Goes great on my silver walls and my all white guest bedroom. Easy to apply and the length was just right. The look gives the room a very inviting and clean appearance. Elegant at its best. They look really good on my wall, but it was a lot more work than I expected. "How many inches is the actual stripe? 6 inches.. ? 8 inches?" 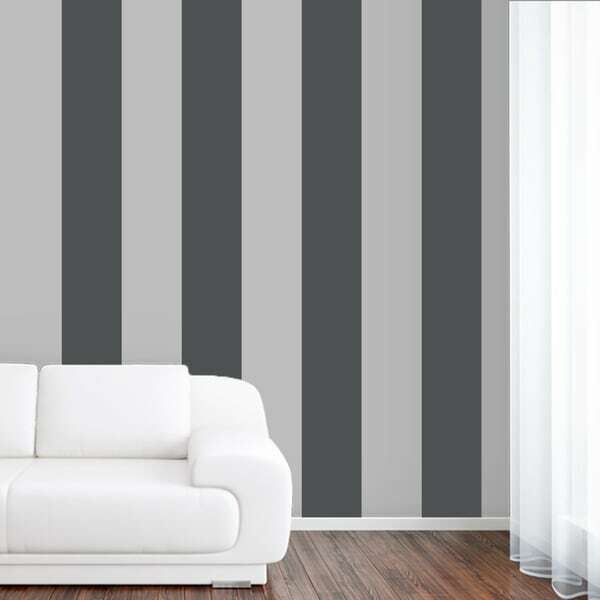 The stripes are 8 inches wide x 108 inches tall. "Is the gold colored stripe metallic or matte?" The gold has a metallic tone to it.